This is an exciting year for the Volkswagen Atlas, VW‘s three-row SUV. It is the year that a full technology suite offering full in-car connectivity has made its debut. At first glance, the Atlas has a full-featured infotainment system. For example, the Atlas S features a 6.3-inch capacitive touchscreen that allows you complete access to the six-speaker audio system. As you move up in trim levels, the touchscreen grows to 8 inches, while also adding two speakers. The top-line system is an exciting 480-watt, 12-speaker Fender system. Sirius / XM satellite radio and HD radio are a part of the audio systems. 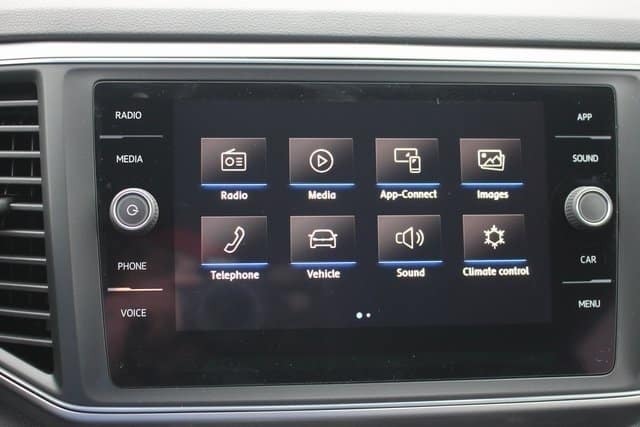 Navigation features are also included in the Atlas infotainment systems. VW Digital Cockpit, a fully user configurable digital cockpit, is available as part of the infotainment suite, as well. Most impressive is Volkswagen’s implementation of Car-Net connectivity available on all trim levels. With Car-Net, Atlas owners can access their vehicles from any point with smartphone apps. There are three pieces to this exciting development: App-Connect, Security and Service, and Guide and Inform. The App-Connect allows you to access your Apple CarPlay or Android Auto smartphone apps. With Security and Service, an owner can, among other items, access and set up security services for their Atlas plus set up service visits. Owners can also access and view their SUV’s internal systems. With Guide and Inform, you can set up satellite and other navigation features. If you should have an accident, the authorities are informed with this system. Let the Volkswagen experts at Emich VW in Denver show you all of the innovative infotainment features of the 2019 Volkswagen Atlas today. We have a great selection for you to choose from so you can find the perfect color and feature combination to meet your wants and needs.